It all started when a French chef living in the UK made a small order of restaurant quality kitchenware for his family and some friends. 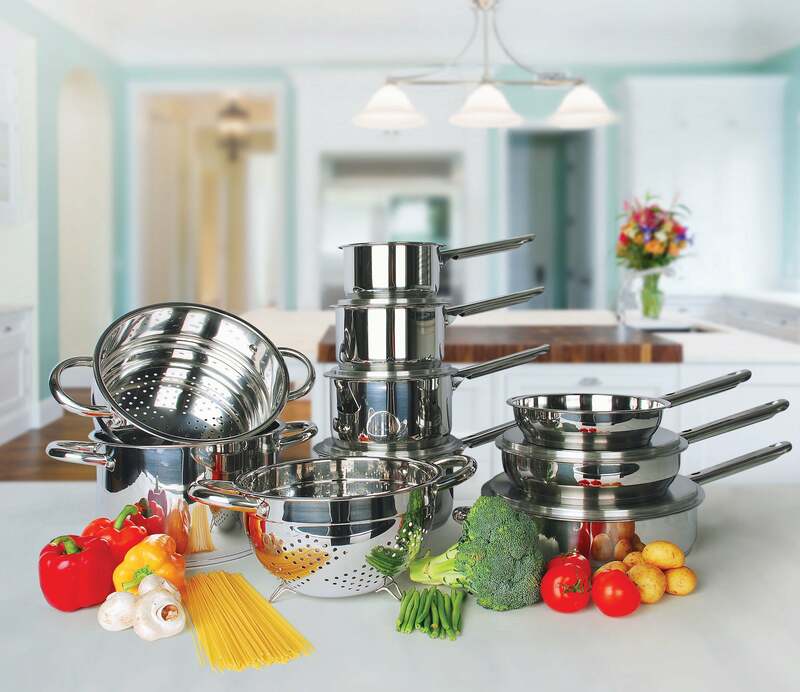 Fast forward 20 years, we now sell over 450 exceptional kitchenware products (all sustainably and responsibly manufactured) and have over 500,000 happy customers. We truly believe in the health benefits of cooking from scratch, and we love making and sharing our own recipes. We also proudly support cooking schools, charities, and the chefs of tomorrow. Really super, light and easy boards to use and, although these are slim boards, they are really fit for purpose. I am really pleased with these boards, thank you. Ordered on saturday, delivered today. Excellent service, price and product!!! Bought these more than 10yrs ago, and still using them, GREAT knives! Couldn’t recommend these knives any higher had mine for about 8 years and still the best set in my kitchen. Jean Patrique Professional Cookware for being about 8 years old in a professional kitchen they have done me proud and apart from a little wear and tear they are still as great as the first day I used them. Knives are brilliant easy to handle and very sharp. This is the first time I have ever used a griddle pan and I have to say why did I wait so long. This pan does exactly what it was designed to do , I love it and would recommend it willingly. Have used for different dishes - on the hob and in the oven - all have cooked beautifully and very tasty. Pan easy to clean too. Worth every penny, good being able to use oven as well as job. Lovely kettle quiet, efficient and attractive. Needed more versatile cheese knives for frequent use. This set proved ideal, being useful for a wide range of cheeses. Additional cheese board was a welcome addition. Very pleased with this purchase. Splendid quality, excellent value for money, speedy and efficient service. What more could one ask. Excellent product, non stick as stated.I bought a large set of saucepans,frying pans and other products over 10 years ago from this company and they still look like new.amazing company. Best pan I have ever bought it is so versatile use it for many different types meals, and also very reasonably priced. Great quality, well made, recommended! Used in oven and on hob .Seems excellent heat transfer properties. What a great piece of kitchen kit....however did I manage without it!? Just love this pan. Great that you can take it straight from the hop to the oven. I bought 2 of these Slate Cheeseboard & Knife sets, - one for myself and one for a Christmas present. It arrived well packaged and in reasonable time. It really is a quality product, including a nicely shaped knife and 2 little dip/pickle dishes. Can't wait til Cnristmas to show it off at the dinner table. I was delighted to receive The Whatever Pan. It looks and feels great. I have used it once for griddling tuna steaks. It cooked them well and the lovely brown stripy griddle marks were perfect. It is slightly deeper than my current griddle pan and so there is no splashing of oil around the edge. It was very easy to get it clean afterwards. I am excited about being able to use it on the hob in the future for cooking a dish with the lid on and even more excited about using it in the oven as it is ovenproof. I have been able to get rid of three old pans that were either broken or never used as this has easily taken their place. Great pan that does just what it says it does...! Very pleased by my purchase. I used it the very next day and found it cooked my meal perfectly. 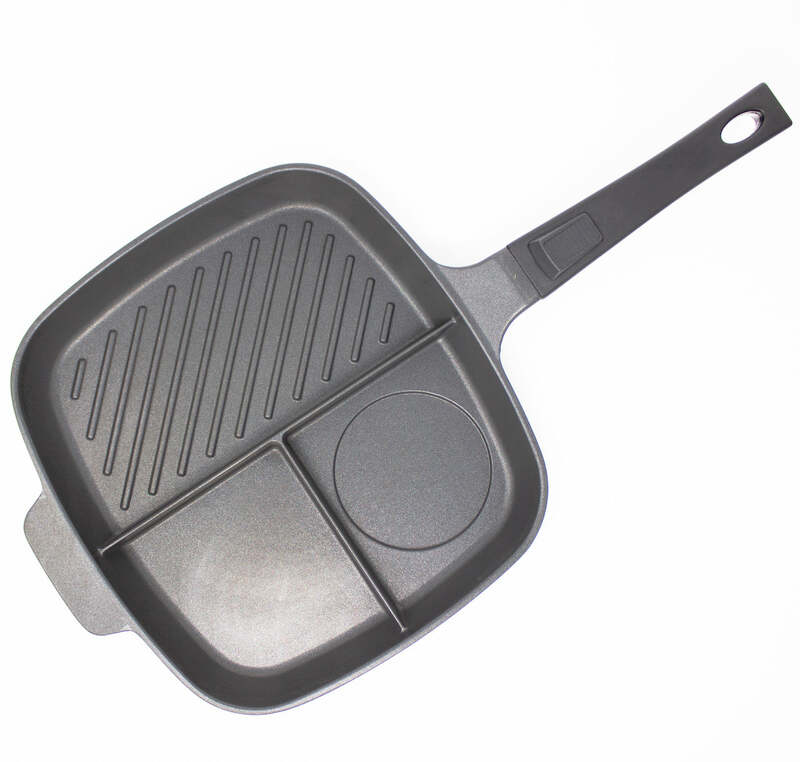 Excellent pan, first class quality and easy to use. Purchased these 18 years ago and they are without doubt the best purchase I ever made. They still look like brand new and well worth the price tag. I just wanted to share with anyone considering these that they will last.